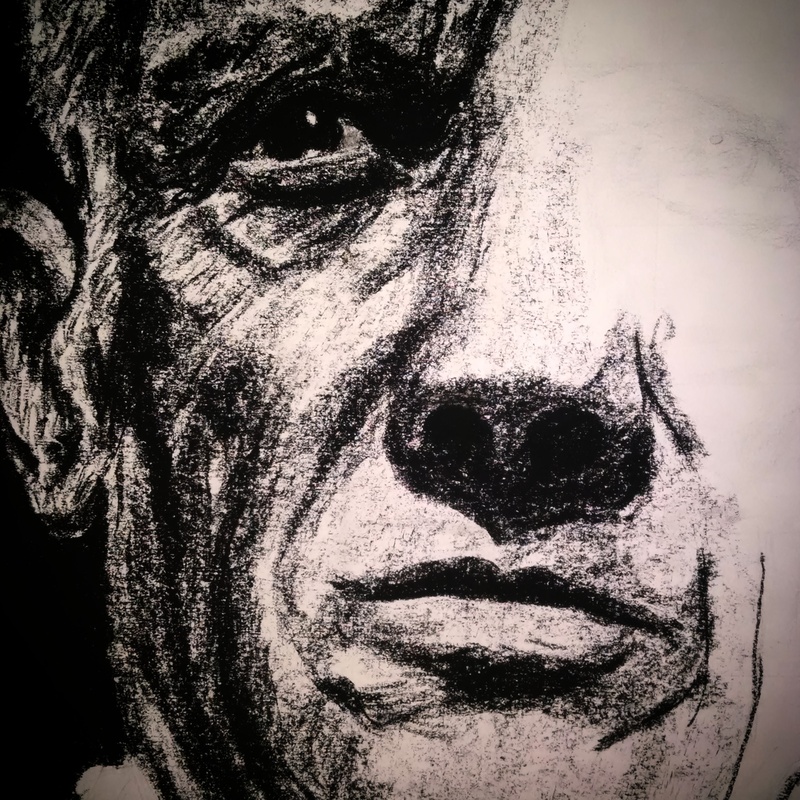 This is a charcoal portrait of Pablo Picasso that I was doing. Technically, it’s a work-in-progress, but someone who saw it in this state fell in love with it and ended up buying it as-is. This isn’t the full piece; it’s actually an 18″x24″ piece, with a lot of my grid marks and pencil guidelines still in place. But the client loved it this way, and I found some poetry in the piece this way as well, given the subject matter. There’s just something fitting about a portrait of Picasso, known for his abstraction and cubism, being portrayed in an unfinished piece. My first novella, ‘The Book of K,’ is now available in the Amazon Kindle store as well as in print edition, also on Amazon (anyone who purchases a print edition can get the Kindle edition for free). of who I never was. replaces the bitterness of being.